Runners of all fitness levels may wish to add joint supplements to their daily diet. Runners and endurance athletes are at a high risk for joint injuries and osteoarthritis, a condition where the space between the bones narrows because of a breakdown of joint cartilages. There are several joint supplements for runners that may prevent cartilage shrinkage and reduce the risk of inflammation of the joints. Glucosamine is made of glucose and the amino acid glutamine. It is already present in the body, but runners take glucosamine to prevent the breakdown of joint cartilage and to promote cartilage formation, according to the Sports Injury Bulletin. 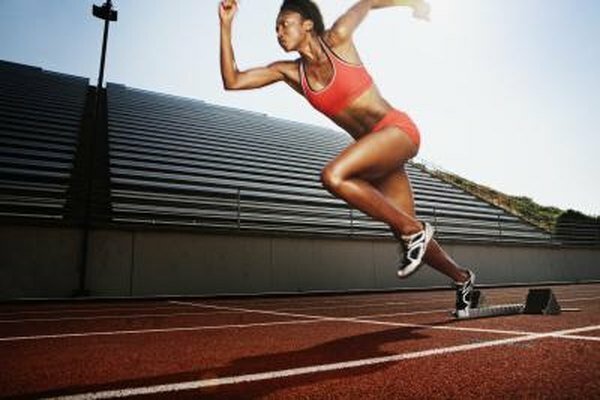 Glucosamine may also preserve the joints during heavy training and marathon running sessions. Glucosamine is available in both liquid and pill form, and can be consumed daily. Runners must make sure that joint cartilage stays strong and elastic. Chondroitin supplements can prevent cartilage damage and support joint health by lubricating the joints. Chondroitin prevents the joints from becoming too stiff after intensive exercise or the aging process, and it also reduces the risk of overuse injuries in endurance athletes. Omega-3 fatty acids can help reduce inflammation after intensive exercise. Omega-3 supplements are available in capsule form and can reduce the risk of muscle inflammation after marathon training, running a marathon or even an intensive workout. According to Condition Nutrition, methylsulfonylmethane, or MSM, provides sulfur, which helps promote healing and growth of the tissues after intensive exercise. MSM is a natural substance that is already present in the body and creates a flexible bond between proteins. MSM supplements can help relieve joint soreness and aching muscles, and also rebuild damaged cartilages after running. Cetyl myristoleate (CMT), is another fatty acid that can help reduce joint pain and prevent inflammation, according to BodyBuildingforYou.com. CMT was discovered by a researcher at the National Institutes of Health, and can protect the joints from damage by acting as a lubricant. This supplement works relatively quickly and plays a role in the production of pro-inflammatory prostaglandins.